1. Pittsburgh during the American Civil War 1860-1865 by Arthur B. Fox (Mechling Books, 2009 2nd ed.). Fox's heavily illustrated book (out with a new edition last year) discusses Pittsburgh's industrial and military contributions, as well as information on hospitals, POW housing, burials, and other people and site histories. The city's earthwork defenses are also outlined, supplemented by a pullout map. 2. Civil War Veterans and Union Troop Organizations in Southeast Missouri by Bob Schmidt (Author, printed by Camp Pope Publishing, 2010). Schmidt's book provides around 100 biographical sketches of Union and Confederate soldiers, militiamen, etc. from SE Missouri, ranging in rank from officers on down to privates. Following that is a series of brief unit histories of Missouri State Militia, Enrolled Missouri Militia, other militia, independent companies, and regular units native to the region. The biographies and unit histories are composed of a mixture of author narrative, drawings, maps, and reproduced archival documents. 3. 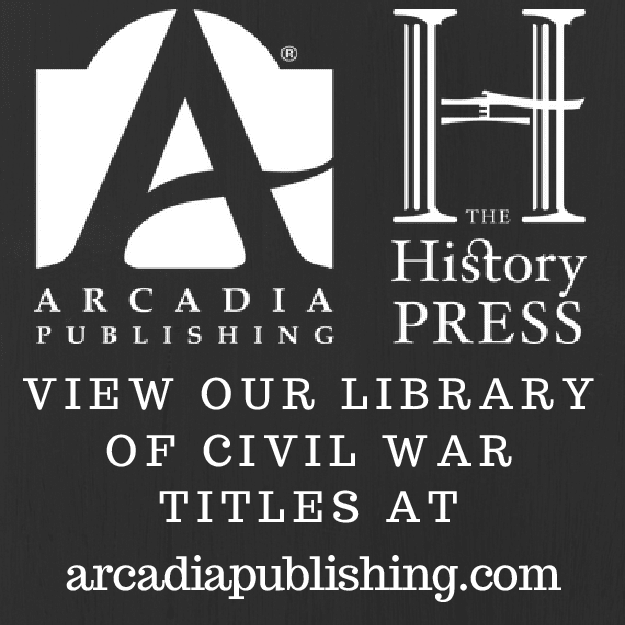 Veterans and Events in the Civil War in Southeast Missouri, Volume II by Bob Schmidt (Author, printed by Press of the Camp Pope Bookshop, 2006 rep. ed.). Similar in design and appearance to the above volume. Contents include: "Fresh research on another aspect of the Battle of Pilot Knob, concerning the execution of Major James Wilson and his men, the retaliation executions of the Confederates in St. Louis, and the planned retaliation execution of Major Enoch O. Wolf. Regimental history/roster of the 78th Enrolled Missouri Militia, which was comprised mostly of Ste. Genevieve and Perry County men. In depth information on John Koester, Charles Kannawurf, Charles Doerge, Anselm Stolzer and Leopold Naeger, who were immigrant Germans serving in the Civil War." Misulia: "COLUMBUS, GEORGIA, 1865: The Last True Battle of the Civil War"
The combatants didn't realize it at the time, but, coming a week after Lee's surrender at Appomattox and only two days before the first Bennett Place agreement between Sherman and Johnston, the April 16, 1865 Battle of Columbus could have no effect upon the course of the war beyond prolonging the inevitable. However, as is often the case, the local impact was significant. The level of destruction visited upon the city's businesses, public buildings, and private homes by the Union victors would be felt for some time. Occurring near the tail end of Union General James H. Wilson's March-April 1865 raid through Alabama and Georgia, the battle was fought between Emory Upton's veteran cavalry division and a loose collection of regulars, state militia units, and civilian battalions defending Confederate earthworks located just across the Chattahoochee River from Columbus in what was then Girard, Alabama. The numbers were roughly equal, but the result was a predictable rout. Charles A. Misulia's Columbus, Georgia, 1865 offers readers the first full-length treatment of this battle. It provides a meticulously crafted tactical rendering of the battle and associated skirmishes, as well as context and a lengthy description of the scope of its destructive aftermath. As the book's subtitle suggests, the author also considers the reasons why Columbus should be considered the Civil War's 'last battle'. It is not easy to write a micro-tactical battle history that is also easy to follow for readers unfamiliar with the subject and the local topography, but Misulia, a Florida attorney and businessman, succeeds handsomely. New sources crop up all the time, but it is difficult to imagine anyone creating a more clear and complete blow-by-blow account of the Battle of Columbus. Additionally, substantial space is devoted to describing the battle's aftermath, to include a quite detailed accounting of the damage to public buildings and the looting of businesses and private dwellings during the Union army's brief occupation. The civilian experience (white and black, unionist and Confederate) is also discussed at some length. None of the book's weaknesses are particularly troubling. A more in-depth examination of why the weakened Confederates chose to occupy an overextended line with a river at their backs would have been appreciated. Also, while present in acceptable numbers and useful overall, the cartography is fairly stark. Fortunately, the author ably translates his mastery of the ground to the text, partly making up for the deficiency. Finally, as interesting as it was to read the source essay and endnotes, I would have preferred the study to have a complete bibliography. The case for each claimant to 'last battle' status is evaluated in an appendix. The differences between a skirmish and a battle remain sufficiently muddled as to invite a variety of interpretations, but Musulia offers sound reasons for us to consider Columbus to be at least more of a true battle than the later Palmetto Ranch. Other appendices provide order of battle material, casualty and Medal of Honor lists, and some brief touring information. In the end, whether Columbus deserves the honor of being considered the last battle of the Civil War matters comparatively little. Charles Misulia's lasting contribution is that of a deeply researched and expertly written battle history that will likely stand the test of time. 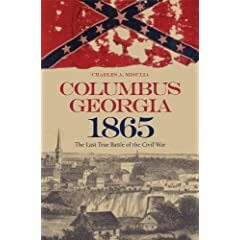 Columbus, Georgia 1865 is highly recommended reading for students of western theater battles and those with a special interest in the waning moments of the conflict. The result of George Stoneman's contribution to the 1863 Chancellorsville Campaign was not as devastating as planned, but his March-April 1865 cavalry raid, criss-crossing through parts of Tennessee, Virginia, and North Carolina, cut a swath of destruction through a Confederacy already on its knees. In terms of published histories, the 1865 raid usually merits just a chapter or two in more general works, along with the occasional magazine or journal article. Back in 1973, Thomas Ramsey self-published a book length account (now scarce) titled The Raid: East Tennessee, Western N. Carolina, Southwest Virginia, the value of which is unknown to me. However, it appears the relative obscurity of the operation's details will change in September with the planned release of Chris J. Hartley's Stoneman's Raid, 1865 (John F. Blair, 2010). The study will be quite substantial in length and promises the most comprehensive treatment to date. Decades ago, Ed Bearss published several booklet-length articles about 1863 battles in Arkansas (e.g. Pine Bluff, Helena, Arkansas Post, Ft. Smith), some of which were incorporated into his landmark 3-volume history of the Vicksburg Campaign. For his own Vicksburg study, Warren Grabau also paid close attention to the Arkansas front, but Mark Christ's newly released book Civil War Arkansas 1863: The Battle for a State (U. of Oklahoma Press, 2010) is the first to integrate all of these battles into a single sweeping narrative. The author ambitiously covers a lot of ground in a relatively short study, and I will be interested in reading his matured perspectives (the project began some time ago as a master's thesis) on the calamitous (for the Confederates) military and political consequences of the campaign. Christ is the Community Outreach Director for the Arkansas Historic Preservation Program. Banasik (ed. ): "CONFEDERATE "TALES OF THE WAR IN THE TRANS-MISSISSIPPI, Part One: 1861"
Confederate "Tales of the War" in the Trans-Mississippi is the seventh volume in Camp Pope Publishing's1 landmark Unwritten Chapters of the Civil War West of the River series (edited by Michael Banasik). Volume VII also serves as the beginning of a sub-series comprised of Civil War reminiscences published by the newspaper Missouri Republican (St. Louis) between 1885 and 18872. It compiles Trans-Mississippi theater writings dealing only with 1861 events penned by Confederates and members of the pro-Confederate Missouri State Guard. The focus of the articles is on military and political persons and events (with heavy emphasis on battles). Some are defensive in tone and others are corrective, and there's a good combination of personal perspective along with the desire to engage other accounts in order to promote a more accurate (in their view) overall picture of events. Multiple perspectives on the Dug Springs, Wilson's Creek (Oak Hills), "Zagyoni's Charge", Belmont, Salem, and Mt. Zion Church battles are offered by men of all ranks, and many of the writings are quite detailed. Belmont is heavily represented, but the Wilson's Creek material occupies the greatest amount of space, and the compilation will be especially helpful for those readers interested in the actions and whereabouts of units and individuals during the hard fought battle's opening moments. Also, many of the pieces are from Missouri State Guard officers, making them important source material for those researching the military history of that understudied militia organization. Editor Michael Banasik's explanatory footnotes are drawn from multiple sources, and are noteworthy for their depth in background, context, and analysis. The small scale tactical overviews and the biographical sketches (of both famous and obscure figures) that are contained in these notes are immensely useful products of deep research. By piecing together the former, one can gain an excellent overall understanding of the historical course of the battle. Having this all laid out promotes a much deeper appreciation by the reader of the strengths and deficiencies of the original writer's understanding of events. The illuminating synergy of notes and text is perhaps best exemplified in the sections on Zagyoni's Charge, Salem, and Mt. Zion Church, all of which present obscure and/or controversial events in a readily comprehensible fashion. The maps are a mixture of previously published and author-created line drawings. Although not quite as extensive as those found in previous volumes, the appendices provide additional material in the way of biographies, some official correspondence, a casualty list, and a listing of 1861 "Tales of the War" pieces either not used or previously published elsewhere. A bibliography and index complete the work. Volume VII is yet another groundbreaking addition to a mature series of great value to the historiography of the Civil War in the Trans-Mississippi theater. Michael Banasik has outdone himself yet again with his skillful and generous editorial handiwork. Highly recommended. 1 - This volume was still printed under the Press of the Camp Pope Bookshop label. 2 - Originally published in the Missouri Republican on Saturdays, there are 94 newspaper pieces in all. II and III will cover Confederate writings from 1862-1865, and later volumes will include those from Union participants. I will be very keen on reading the newly arrived Yankee Warhorse: A Biography of Major General Peter J. Osterhaus by Mary Bobbitt Townsend (Univ. of Missouri Press, 2010). 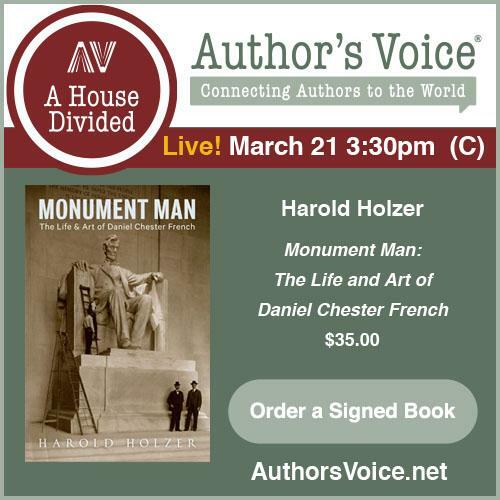 It is the first full biography of the German-American. Before and after the war chapters bookend those detailing the general's participation in Wilson's Creek & Pea Ridge, the Vicksburg Campaign, Chattanooga, Atlanta & the March to the Sea, and Mobile Bay & Reconstruction. It is understandable that Townsend being the gg-grandaughter of Osterhaus would raise hagiographical concerns, but the publisher rarely disappoints and historian Earl Hess assures us in his Introduction that the author has produced a "first-rate biography". Cooling and Owen: " MR. LINCOLN'S FORTS: A Guide to the Civil War Defenses of Washington "
Historian B.F. Cooling has published two major works dealing with the Civil War forts ringing the U.S. capital city. Symbol, Sword, and Shield: Defending Washington During the Civil War is a broad overview that will satisfy most general readers, but the most dedicated students have always sought after the marvelous Mr. Lincoln's Forts: A Guide to the Civil War Defenses of Washington (first published in 1988*). The non-profit group Friends of Fort Ward sponsored the original work, and co-author Walton Owen is assistant director and curator at the Fort Ward Museum. Out of print for some time, the book has been relatively scarce on the secondary market, making the new, affordable reissue by The Scarecrow Press a welcome development. Mr. Lincoln's Forts is a deeply researched and masterfully compiled text and pictorial guide to the batteries and forts circling Civil War Washington D.C. The book's introduction updates readers on the current state of preservation. Following that are six chapters. The first two provide background information (a general history and fortification engineering summary), while the final four break up the complete tour into as many sections. Each chapter examines a list of sites, with information on these batteries and forts further subdivided into location (driving and walking directions -- GPS coordinates might make it into a future edition) , visible remains (if extant, outlines and tracings of the historical works are described), description (physical design, layout, and armament, as well as background information and discussion of significance), and finally note/anecdote (a collection of primary accounts, plus a listing, with dates, of garrison units). This arrangement works well, breaking down a massive amount of data into easily referenced categories. In addition to being a pleasure to look at, the hundreds of photographs, topographical maps, and engineer drawings (averaging more than one per page) reproduced in the study provide a wealth of information, and are essential tools in visualizing the design of the works and how they fit into the surrounding terrain. In reading this book, serious students of Civil War fortifications are treated to a truly unprecedented compilation of period cartography. An appendix is composed of even more full-page engineer drawings, selected for those forts with visible remains. Others include a biographical sketch of engineer officer John G. Barnard, ordnance statistics, a glossary of engineering terms, and army regulations dealing with the important task of earthwork maintenance. The co-authors and their publisher are to be congratulated and thanked for bringing Mr. Lincoln's Forts back to print in a newly revised edition. Another generation of Civil War students will now be able to own a copy of this unique work. Highly recommended. * - I do not own a copy of an earlier edition for direct comparison. However, the To the Sound of the Guns blog has posted a fairly detailed critique (here) of the new edition's revisions and additions. It is well worth a careful review. Carnahan: " LINCOLN ON TRIAL: Southern Civilians and the Law of War "
Evidence based examination of the treatment of southern civilians by U.S. military authorities during the Civil War can lead sober minds to hold widely divergent opinions about issues of legality and necessity. Where Burrus M. Carnahan, the author of the recent study Lincoln on Trial: Southern Civilians and the Law of War, stands on this controversial topic is clear. From his conclusion (Pg. 119), "Under the standards of the time, President Lincoln did not authorize or condone any violations of the [international] laws of war against enemy civilians." How this generalization is supported forms the essence of the book. A short study, Lincoln on Trial skillfully employs an economy rarely encountered in scholarly Civil War books attempting to tackle weighty social, military, and political topics. There are five chapters, each exploring a distinct theme. The first deals with the application of international law to the conduct of the Civil War, while succeeding sections cover the seizure and destruction of private property, retaliation and guerrilla warfare, the concept of command responsibility for "devastation", and personal injury to civilians (most specifically, bombardment of cities). In all, the author finds the Lincoln administration in compliance with international law, as recognized at the time. As for the issue of "command responsibility", Currahan notes that holding individual commanders responsible for the unlawful actions of their men is a post-Civil War legal concept. Thus, he feels there is justification for the president's reinstatement to command men like John Basil Turchin (see the Sack of Athens). However, a downside of a brief synthetic study such as this one is the limited space in which to develop an argument and the reliance on only a few (and sometimes a single) secondary source for background information and examples. Brevity also does not allow a truly sufficient elaboration on just what specific issues and precedents of international law the author is applying to the Civil War. Additionally, the Lieber Code is often cited in the literature without enough regard to the possibility of it being essentially a self-serving document, something that facilitates the objectives of the authorial belligerent while at the same time denying the legality of the means by which the other side can effectually resist. Only brief extracts from the Lieber Code are able to be reproduced in Currahan's text, and these are sufficiently vague in their language (e.g. just what constitutes "military necessity") as to invite a broad range of interpretation. A full length scholarly study of the Lieber Code and its application is long overdue in the published literature and would be very welcome to Civil War students. A dominant theme throughout is President Lincoln's aversion to acts of revenge and his willingness to intervene and correct specific cases of injustice brought to his attention by others. However, his consistent unwillingness to use his power as chief executive to make sure such things did not recur (e.g. by issuing general orders against them or new, amended, or restated policy statements) is acknowledged by the author to be quite troubling. Carnahan does relate a multitude of possible justifications (some quite reasonable) behind this pattern of administrative behavior, but his ultimate acceptance of them will likely not resonate with all readers. An important point raised in Lincoln on Trial is just what legal framework should have been applied to the treatment of southern civilians -- international law or the more protective Constitution. This issue becomes even more cloudy when dealing with civilians living in border states like Kentucky that did not secede. Carnahan admits that Lincoln often tried to have it both ways, but is little vexed by the idea. Whether one finds Carnahan's conclusions ultimately persuasive or not, he has raised and framed for debate issues that are worthy of further inquiry. Although Lincoln on Trial sometimes reads more like legal advocacy than objective historical methodology (perhaps not surprising given the author's background as an Air Force JAG officer and law school lecturer), its arguments are nevertheless clearly presented and defensible. 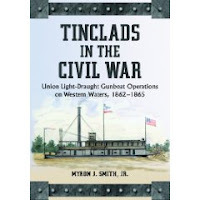 Smith : "TINCLADS IN THE CIVIL WAR: Union Light-Draught Gunboat Operations on Western Waters, 1862-1865"
With previous books detailing the career of Le Roy Fitch and the operations of the U.S. Navy timberclad gunboats, Myron J. Smith's Tinclads in the Civil War is a continuation of what has become something of an informal series dealing with the naval war on the western waters. Tinclad warships were basically purpose built or retrofitted steam powered (screw or side/rear paddle) river vessels of very shallow draft, armed with casemated guns. This firepower, limited [boiler plate over timber] but beneficial protective armor, and ability to go just about anywhere the ground was damp made them excellent multi-purpose tools for the Union's waterborne war effort. The author perhaps put it best in his enumeration of their duties as "dispatch and light replenishment vessels, towboats, patrol boats, swift raiders, minesweepers, troop ship guardians or anchor pickets, and gunfire support vessels" (pg. 2). The relatively swift tinclads were also very effective in counterinsurgency operations, as guerrillas were generally lightly armed and without artillery. Multiple examples of the many types of operations listed above appear in the text. 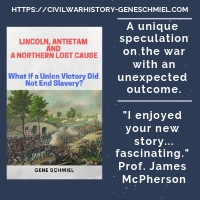 Clearly, covering all tinclad operations between 1862 and 1865 would take multiple volumes and thousands of pages, and Smith wisely elected to concentrate his own study on those events where tinclads occupied center stage. Too multitudinous to even summarize here, Smith's study encompasses events on all the major waterways of the Trans-Mississippi and western theaters where tinclads roamed. Some incidents and operations are familiar, but many more inform the reader in great detail of more obscure events. The volume and depth of information provided will be most welcomed by dedicated students with specialized interests. Smith's bibliography lists an exhaustive array of primary and secondary source materials, and his explanatory notes are meticulously crafted and expansive. Tinclads is illustrated throughout, with numerous photographs of officers and vessels. The first appendix is a complete listing (in tabular format -- vessel name & number, drive rig, date of purchase or capture, date of commission, and armament) of U.S. Navy tinclads in order of acquisition, and the second provides some basic data on the postwar fate of the vessels. On the negative side, more and better maps were needed and too many typographical errors remained in the finished product. It's also a shame no way could have been found to publish the manuscript in hardcover format as the buyer will find it to be quite useful as a reference book. However, here, as with the author's previous volumes, the positive elements far outweigh the negative ones. Myron Smith's analysis and encyclopedic rendering of Civil War tinclad operations marks yet another significant step forward in our knowledge and appreciation of the naval war on the western waterways. Aimed most directly at the specialist reader, Tinclads is arguably the best single source available on the subject. Just in today, Charles Misulia's Columbus, Georgia, 1865: The Last True Battle of the Civil War (Univ. of Alabama Press, 2010) appears at first glance to be quite impressive. I can't say that I ever expected to see a full length battle study of Columbus, but here we have one with all the elements one might wish for -- extensive small scale tactical narrative, numerous maps, supplementary material, etc. The Wilson's Raid literature is still thin, with none of the fighting really covered in much detail and James Pickett Jones's overview Yankee Blitzkrieg (1976) remaining the standard work to this day, so Misulia's work will be a welcome contribution. Piston & Sweeney: "Portraits of Conflict: A Photographic History of Missouri in the Civil War"
Portraits of Conflict: A Photographic History of Missouri in the Civil War is the ninth volume of University of Arkansas Press's long running Portraits of Conflict series. It shares the format and comprehensive coverage of previous entries, several of which have garnered awards. Co-authors William Garrett Piston and Thomas Sweeney are well suited to the task of compiling images of the Civil War in Missouri. Piston, a Missouri State University history professor, has published many books and articles dealing with the war in the Trans-Mississippi, and retired radiologist Sweeney was once the proprietor of one of the finest private regional artifact collections in existence. Consistent with the other series volumes, Piston and Sweeney begin the Missouri entry with a short summary of the careers of various photographers that did business in the state. The antebellum period, the decisive first year that secured the state for the Union, Confederate offensives and raids, the guerrilla war, the importance of Missouri industry to the navy, hospitals and medical care, the service of Missourians outside the state, and the legacy of the war are subjects covered in eight additional chapters. Each section is accompanied by a lengthy narrative introduction, that taken together form a reasonably comprehensive summary of Missouri's Civil War. A great strength of this book is its avoidance of the trap of (over)emphasizing the irregular war in the state. Photographs of regulars, guerrillas, and militia members from both sides are abundant. Guerrilla warfare was certainly a key component of the conflict in Missouri, but its constant overshadowing (in both the popular and scholarly literature) of the great number of regular actions and campaigns fought within the state's borders remains the bane of those students wishing to know more about them. As one might guess from the title, the overwhelming majority of photographs are of individuals -- soldiers, sailors, civilians, physicians, politicians, ex-slaves, and veterans. Familiar images are mixed in with those never before published, and one of the volume's great appeals is just how fresh the image compilation is, even for those readers well steeped in the Missouri literature. A caption accompanies each photograph. Usually of a dual nature, these provide a short biography or background sketch before describing a specific event of importance the subject was directly involved in. Material quality and overall presentation are excellent. Naturally, the clarity of the image reproduction varies with the state of the original, but the quality, high gloss paper used by the publisher enhances the visual and tactile experiences of the reader. 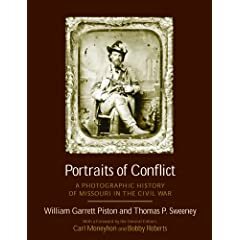 The Missouri volume is an excellent addition to the Portraits of Conflict series, and well worth the effort of libraries, researchers, and period photography enthusiasts to obtain. The latest issue of Blue & Gray magazine highlights Stonewall Jackson in the Luray Valley during the 1862 Valley Campaign. The bio of article author Gary Ecelbarger mentions that he will have a Battle of Atlanta study coming out this fall through St. Martin's Press. I've confirmed through Gary that his book will indeed be a detailed tactical study of the occupation of Bald Hill and the Battle of Atlanta (July 20-22). As we know, none of the Atlanta Campaign battles have received anything like the full length treatment of the kind we've come to expect from modern battle studies, so this is a very promising development. I don't know what the title will be, and, as of this writing, St. Martin's does not have a web page up for the book yet.